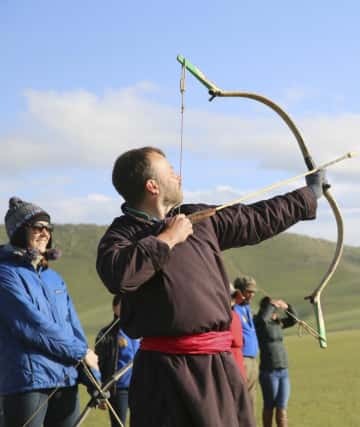 Join us for a very special riding and adventure camp at Mongolia’s Orkhon Valley National Park. 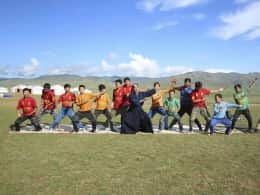 Brought to you out of our love for travel and adventure, The Pavilions and Genghis Khan Retreat have joined together to offer you this incredible journey. 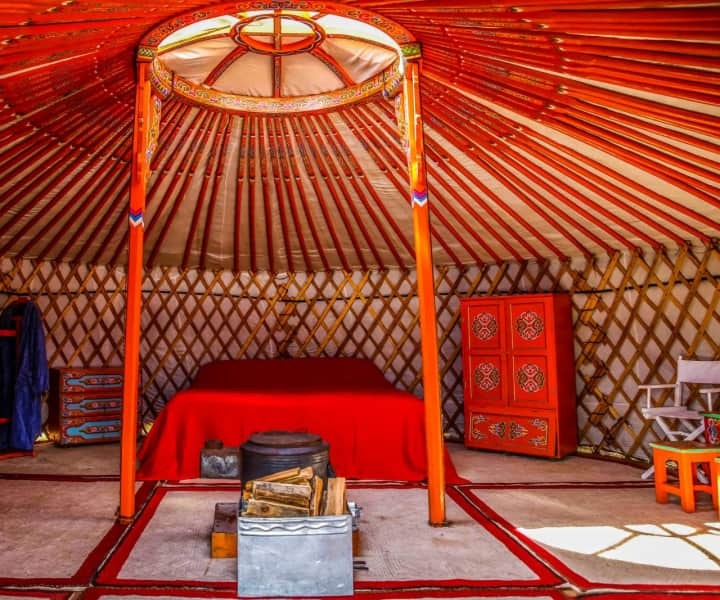 Book your all-inclusive luxury stay in a Mongolian Ger today! 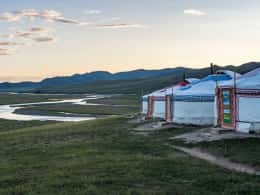 We searched across the globe to bring you the best in adventure and cultural immersion and found it with our exclusive partner, the Genghis Khan Retreat. The Pavilions equestrian and wilderness retreat is a unique and exclusive experience for just thirty guests at a time from the 15th June – 19th September 2019. 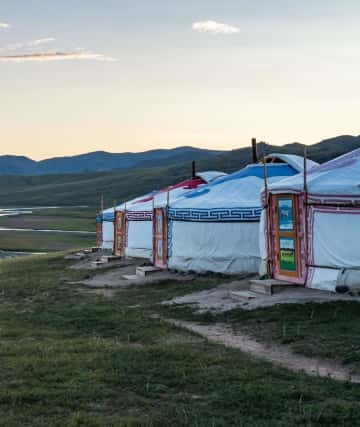 Perched atop Mongke Tengri Hill in the heart of UNESCO protected site in Orkhon Valley National Park, the camp is pop-up oasis for those seeking serenity, adventure and a renewed connection to the essence of life and nature. 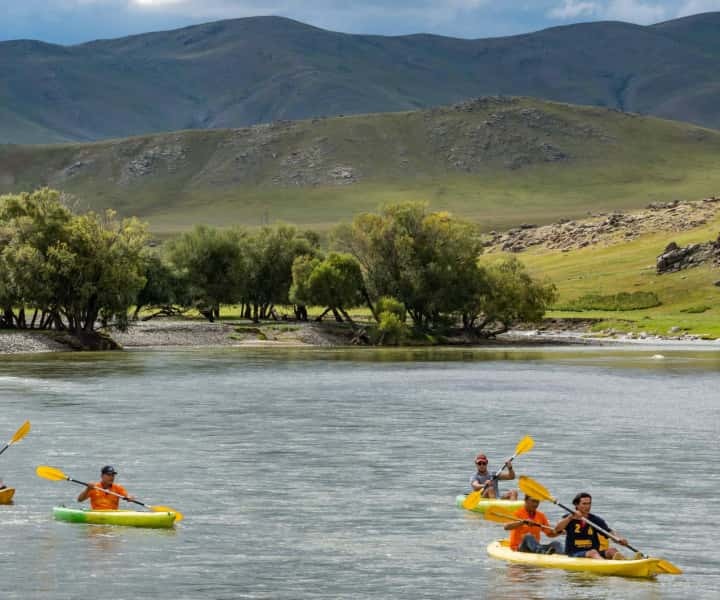 With a range of all-inclusive activities including horseback riding, kayaking, rock climbing to name a few, and immersive experiences into Mongolian life, its sure to be one of the most memorable trips of a lifetime. 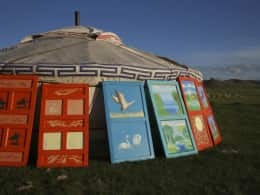 Journey Through Time with The Pavilions Mongolia. 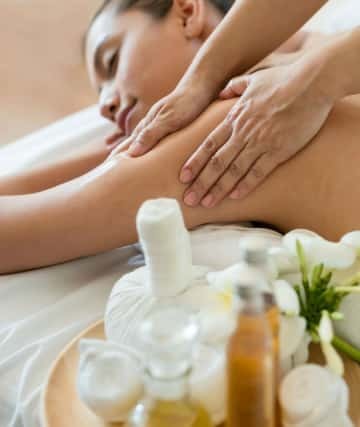 Enjoy traditional spa therapies and daily yoga sessions. Stay in spacious, ornately painted Gers where attention has been paid to every detail. With a range of activities including horseback riding, kayaking, rock climbing to name a few. "THE MOST AMAZING EXPERIENCE OF MY LIFE "
"DON'T MISS THE CHANCE TO VISIT THIS INCREDIBLE PLACE "
"A BREATH OF FRESH AIR FOR THE MIND, BODY AND SOUL "